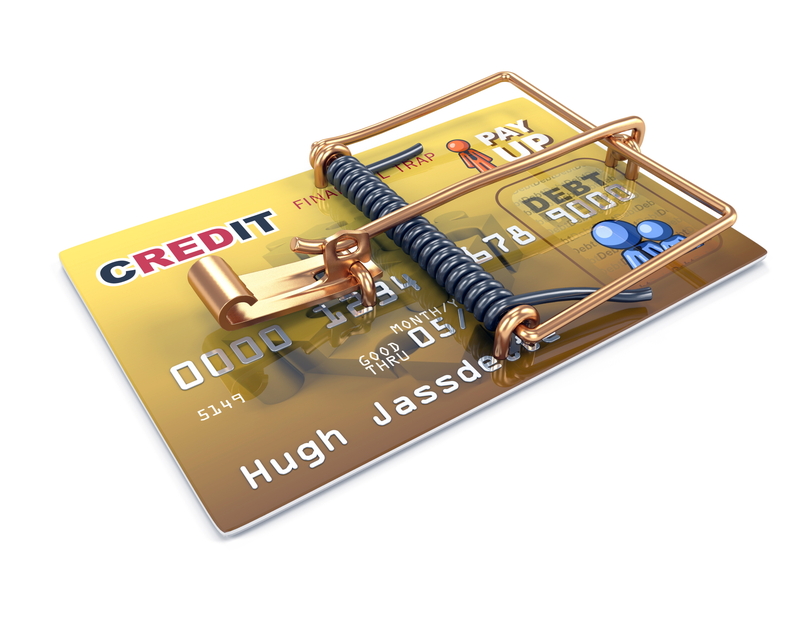 Holiday Credit Card Traps – Beware! Beware: Zero interest-rate financing. Store cards with discounts. Cash advances. As consumers gear up for the holiday spend-a-thon, there are also plenty of opportunities to get into trouble with credit cards. And if you’re not careful, you can find yourself with a lower credit score, high interest payments, and more. Holiday spending is expected to increase nearly 5% this year, with the average consumer planning to spend $804, according to the National Retail Federation. That can make credit card deals look enticing, and too good to be true. Deferred interest credit card offers, for example, often surface this time of year, according to Gerri Detweiler, director of consumer education for Credit.com. These offers, often announced as “zero percent interest” or “special financing” promotions, typically give consumers a grace period on interest, sometimes for a year or more. For a consumer making a big purchase and planning to pay it off within that time, deferred interest plans can be helpful, Detweiler said. But she warned that consumers who leave even a single dollar of charges on the card by the time the deferred interest period is over can be hit with retroactive interest charges on the entire balance they charged. She had just received a letter from Home Depot, for example, explaining that if she took its deferred interest offer and did not pay it off in full within the specified period, she would be charged interest on all her charges retroactively at a rate of 22.9%. (The store’s website describes a six-month deferred interest offer with interest rates on unpaid balances ranging from 17.99 to 26.99%). According to CardHub, a credit card comparison website, paying off your credit card debt one month behind schedule or missing a single payment could increase your financing costs by more than 27 times if you rack up charges under a deferred interest plan. The site has compiled a list of retailers offering deferred interest plans with varying degrees of transparency. Opening new credit card accounts is another potential pitfall for consumers. Many retailers encourage consumers to take out store cards, often by offering enticements like a discount on that day’s purchases, or by offering a discount if the consumer spends above a certain threshold. “Some of these offers will be designed to encourage you to spend more,” said Jeanine Skowronski, a credit card analyst with Bankrate.com. Store credit cards often carry high interest rates. And even an application for a new credit card will appear on your credit report, Detweiler said. Credit card cash advances are another potential pitfall for consumers. The interest on these is often well above the interest on credit card purchases. “Stay away from them at all costs,” Skowronski said. Of course, there are ways credit cards can be helpful with holiday spending too. For example, consumer protections on credit cards tend to be stronger than for debit cards: consumers are typically only liable for a maximum of $50 if they fall victim to credit card fraud, and as soon as the card is replaced they can use it again. Losses on a debit card are capped at a higher level, and it can take longer for a bank to straighten out an account where there has been fraud. Credit card price protection promises can also be helpful. These guarantees typically allow a consumer to get a refund if the price on something they purchased drops within a specified period of time. Taking advantage of those guarantees takes discipline, though, as does sticking to a holiday spending plan. This entry was posted in Credit Management and Credit Cards, Holiday and Seasonal Finances and tagged Holiday and Seasonal Finances, Holiday Credit Card Traps by VP of Marketing and Business Development Jessica. Bookmark the permalink.